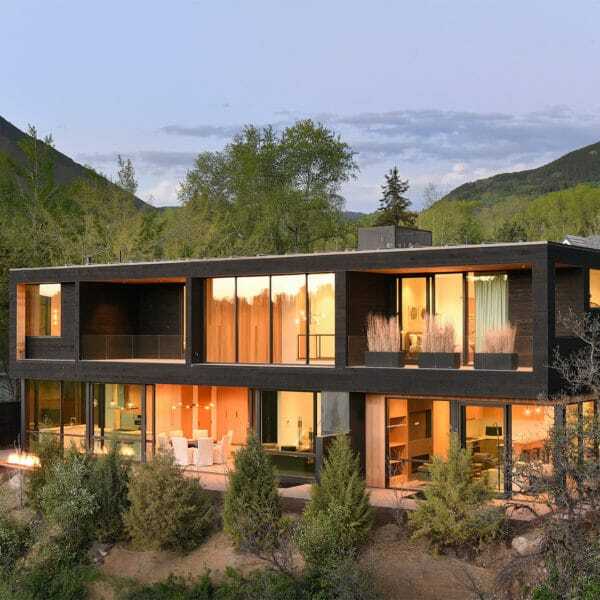 Tucked into an aspen grove in Mountain Star, this modern 6,348 square foot home features painted metal panels, stone veneer, exposed steel, and cedar siding. Large Jeld-Wen Windows and sliding Weiland doors bring the outdoors in with large wrap-around patios. In addition to four bedrooms, the house also has a wine room, a fitness room, a study, and an outdoor hot tub.